If a city could be one’s soulmate, Melbourne would be mine. I cannot get enough of how artistic and cultured Melbourne is—definitely chicken soup for the creative soul. 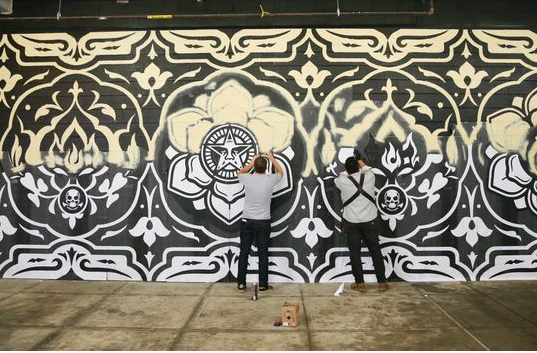 Shephard Fairey in Detroit: Stenciling and Spraying. Detroit, Michigan, USA. Shephard Fairey (if you don’t know who he is http://en.wikipedia.org/wiki/Shepard_Fairey) is in Detroit for a nine day residency. He was to have started a mural on the side of One Campus Martius, but the weather was not cooperating–it rained. Not one to be deterred, Fairey and his assistants worked inside in the middle of parking structure Z. It seems appropriate–or it just me? Detroit is trying to revitalize their downtown using street art. They have had 36 well-known (I have no idea how they judged that) artist come to town to do murals in the last two years. Image: Guy Debord, The Society of the Spectacle (1967). Debord (1931 – 1994) was an influential French marxist theorist, writer, film-maker, and founding member of the Situationist International. Gentrification has given Brooklyn a beautiful makeover, but under the surface lies the ugly problem of homelessness. It’s now the least affordable borough due to gentrification and its hostile takeover of Brooklyn neighborhoods is pushing the poor out on the streets while giving the rich a new territory. Homelessness is a citywide concern, with 60,484 people sleeping in New York City shelters each night, according to the Coalition for the Homeless. 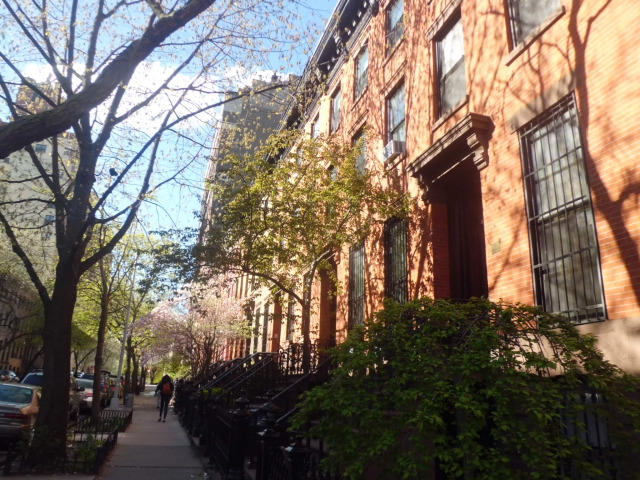 The city is trying to provide apartments with New York City Housing Connect, a portal where users can apply for affordable units throughout the city. However, the number of apartments available greatly outnumbers the amount of applications. As noted in a New York Times article, it was mentioned that a building in Brooklyn at 59 Frost Street had 38 affordable apartments, but received over 80,000 applications for those units. “This is my city” – Matt Murdock and Wilson Fisk, at various points in Daredevil’s first season. AprilisNational Landscape Architecture Month. This got me thinking about an idea for a piece but, as often happens, I found myself tumbling down a rabbit hole of research tangents and decided I’d start with a post about architecture of the non-landscape variety. Apparently there is no “National Architecture Month” and Los Angles proclaimed October “Architecture Month” but, well, whatever.